It's monsoon season here apparently. We've had nothing but rain for most of this week and last week. Plus, it's turned cold on us again. People are saying it's Dogwood Winter, but I don't think so. The dogwoods bloomed about two weeks early this year, and at the same time as the Redbuds. I, personally, think this is Redbud Winter, and we're still going to have a Dogwood Winter around mid-April, like usual. So, while it's rainy and cold, I've decided to do a little spring cleaning around the house. In general, I'm the type that believes at the start of Spring everything has to be gone over with a fine toothed comb (or toothbrush, ha!). That does not exclude all our gear. All of that needs an extra cleaning, too. Today, I tackled the water bladders for a thorough cleaning. I'd suggest you rinse them with hot, hot water and air them out after every use. 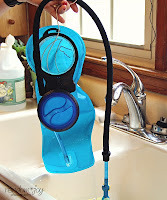 There's a gazillion ways to clean your hydration bladder, but here's how I do the deep cleaning on them. First, I don't have any fancy water bladder cleaning utensils, so I use what I have. Vinegar and baking soda are staple cleaners in my house. They're safe to use on just about anything, not harsh, and they are awesome deodorizers. So, for cleaning the bladders, I gathered the two - plus a sanitized bottle brush, sanitized cleaning toothbrush, a pipe cleaner, a bag clip, a wire coat hanger, and a pair of pliers. I opened the bladder, eyeballed about two cups of distilled white vinegar and added about a teaspoon or so of baking soda. Now, you'll want to keep your bladder open because of the CO2 by-product. Wouldn't want to risk the bladder popping. After the fizzies have settled down, I use the bottle brush to scrub, scrub, scrub the insides of the bag. I use the toothbrush to get in the crevices and close to the seams. 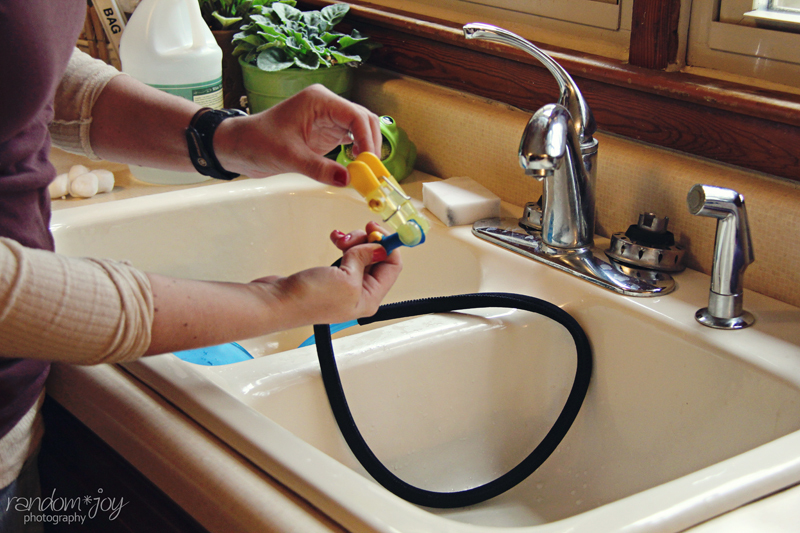 Next you'll want to prop open the drinking spout with a bag clip and let the vinegar solution run down into the tube. This will loosen any algae that may have built up there. 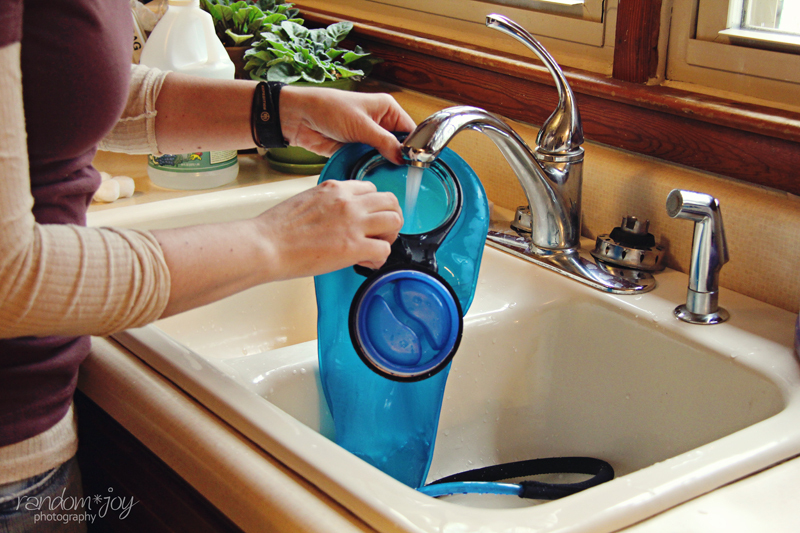 Afterwards, fill the bag with the hottest water out of the tap and let it flow out the tube. 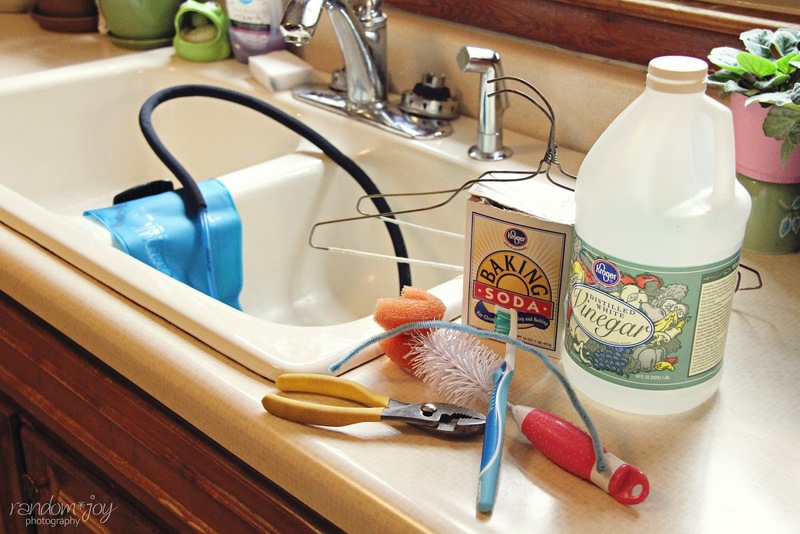 Repeat this step a couple of times to rinse out all the vinegar and baking soda. 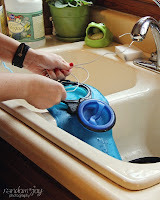 Next, use a pipe cleaner (make sure you fold over the end so it's blunt and the wire isn't sticking out) to clean inside the mouth piece and up the tube where any build-up is. If you have excessive algae build-up, you may want to use a bleach solution and use a special cleaning kit , or just get a new bladder . We've never had this problem though. 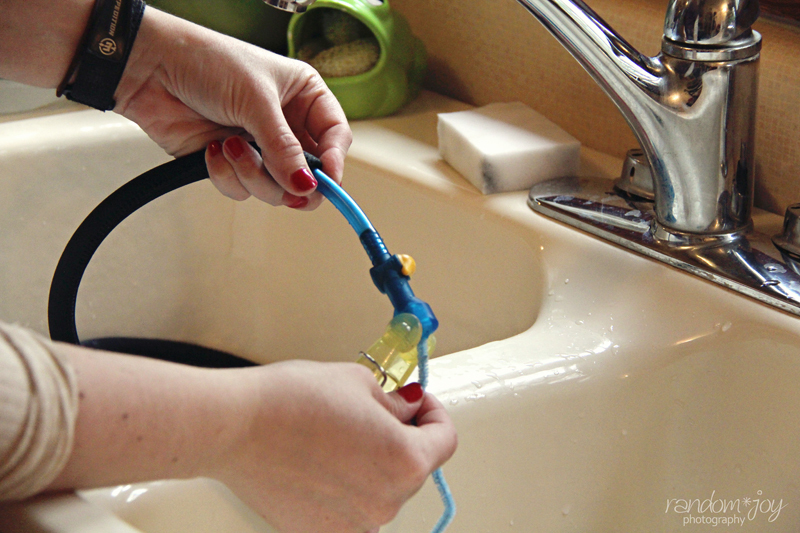 Do one more quick rinse, then use the pliers to undo the coat hanger and turn the end in so it's not going to poke the bag. Then wind it up a bit, and stuff it inside. 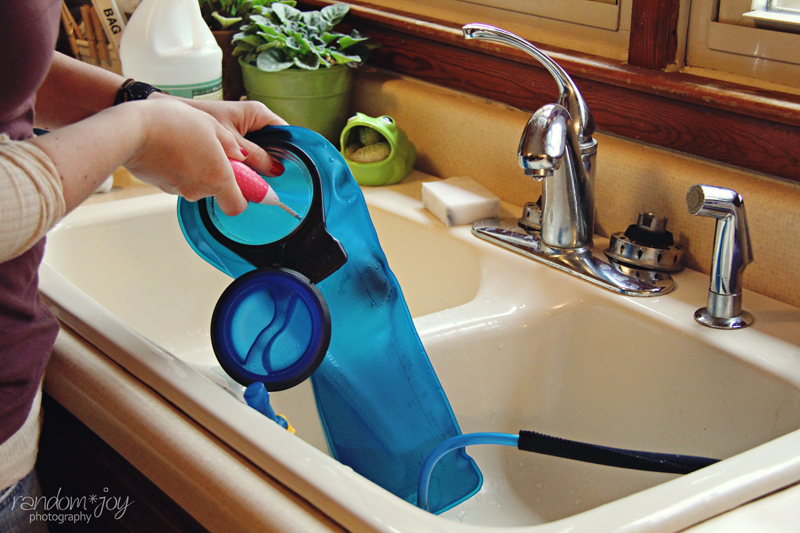 Hang to dry, leaving the bag clip on the end so water can drip out and the tube can dry out.